UNLOCKED PROTRADER: Time to Move in or Move on? I hope everyone had a good Thanksgiving, and has had the chance to do some awesome drafts with Iconic Masters, which has such a different play pattern than Ixalan draft. It’s a nice change of pace, but I have to admit, I really hated paying $35 for a draft when I knew I could get a box for $160 all over the place. 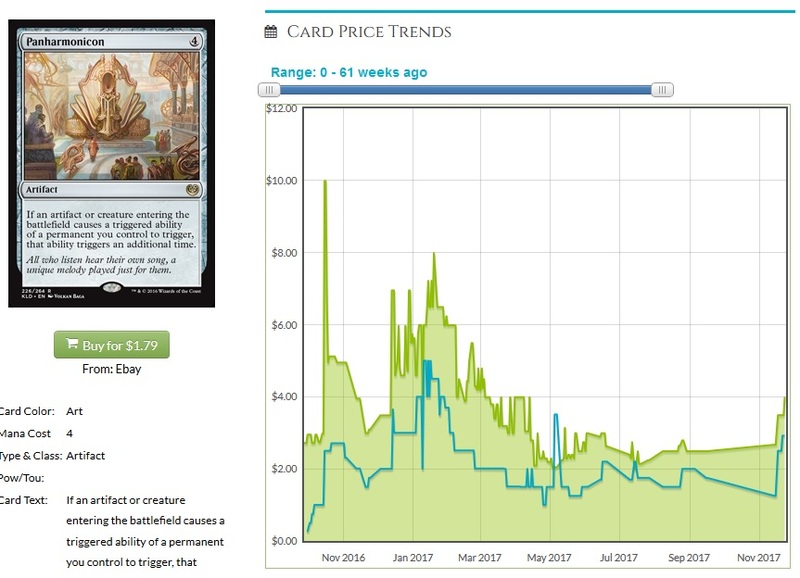 I don’t think Iconic Masters is done falling in price, but we are only two weeks away from Unstable drafts, and then it’s dead in December until after New Year’s, when we dive into Rivals of Ixalan previews and prerelease! How likely is the card to see another bump before it rotates? 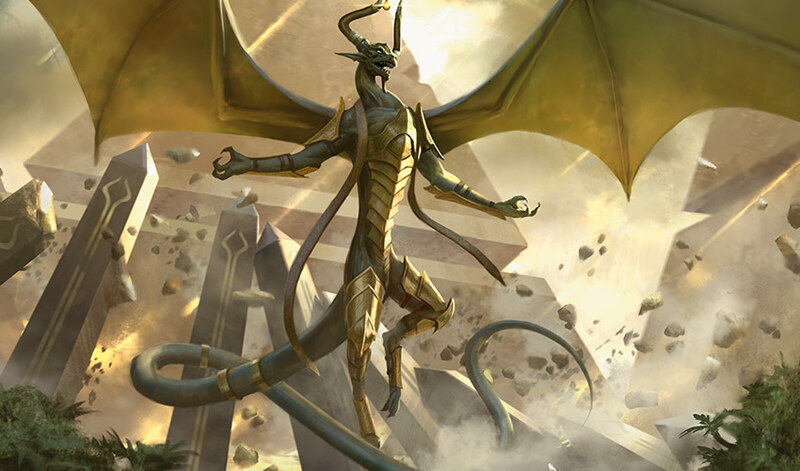 Is the card Modern/Legacy/casual playable, and what’s the demand going to be going forward? Now if you’re thinking, “What the heck, did he say rotation? It’s December!” that’s not wrong but you need to be aware that there’s not a lot of chances for a deck to break out. With that in mind, I want to look at some cards and see if I want to get in or move on. Glorybringer ($6): Right now, creatures are dying all over the place. Four toughness is not enough, with this dragon and with Chandra, Torch of Defiance. The fifth toughness is a big part of the appeal with it comes to The Scarab God. Glorybringer is seeing some play in a range of decks, but it’s only a four-of in some of the new Mardu Vehicles lists. Especially with a buy-in at this range, I don’t think this is worth a buy. It would have to spike past $10, into the $12-$15 range, and that means super-widespread adoption. Seems pretty unlikely to me, and since this doesn’t see much play. It’s in less than 700 Commander decks, so yeah, stay away. Anointed Procession ($9): I have to be honest, I didn’t know that this had crept up to the threshold of $10. It’s now the #3 card in Amonkhet, and while I want to say that’s due to casual appeal, that’s not quite right. There’s a lot of these in EDH decks (4500!) and there’s a range of token strategies available in Standard. Bringing some Hidden Stockpile/Anointed Procession deck to FNM and making a huge stack of tokens does sound like a lot of fun! Don’t count out the kitchen table players either. Something has been soaking up spare copies of this, to keep pushing it on the gradual upward curve. Legion’s Landing is the proximate cause, but at the root, the casual demand is super high on here, though the foil is still available under $20. I’m going to be looking for this to drop at rotation, but I don’t think it will fall far. A caveat: This is very easy to reprint in a Commander product going forward. Be cautious if you’re stocking up. Bontu’s Last Reckoning ($4): This is intriguing on a couple of levels. It’s hot garbage in casual formats, so that’s out, but it’s the cheapest Wrath of God variant available in Modern, where it’s popped up in a few sideboards. It’s not super-widely adopted yet, but there is room for that to grow. Lantern Control, a deck which is merciless to play with and against, has one or two in the board, as does 8-rack and some other fringe strategies. This price isn’t due to Standard, or to casual demand, so the amount of play it’s seeing has kept it from being a dollar rare. I would like it better if it fell back into the $2 range, where it was a couple of months ago, but if it doesn’t dip at rotation, Picking up a few is something I can get behind. Solemnity ($2): It’s got all sorts of fun combos, and frankly, it hoses a wide range of popular EDH strategies. Do note that it doesn’t care about planeswalkers, as happened in a game I was in. I’m hoping that rotation cuts this to a dollar rare or less, as it’s too unique an effect to stay this cheap forever. Also notable is that the foils are four times as much, but the card is only listed in 850 decks on EDHREC. Panharmonicon ($3): If you don’t have a taste for reprint risk, this is a lock. It’s in more than 11,000 EDH decks. It’s the #81 artifact in that database, which is surprising to me until I looked at the list and saw all the mana rocks. Three bucks is too low for this card, it did make it to $10 when people were trying to get all the value possible early in the format. It’s highly reprintable, though…so the foils at sub-$10 are even more appealing to me. Foil Anointed Procession is already pushing $20, and this is the card that defines ‘win more’ which is what we all want to do deep in our filthy casual hearts. Go buy some of the foils right now and just sit on them for a little while, and thank me later. Bonus Pick: The Chain Veil (Foil): There’s 23 copies on TCG right now, and none at several big sites. It’s only in 3500 EDH decks, but the supply is super tiny for a card that fits into the always-popular superfriends decks. 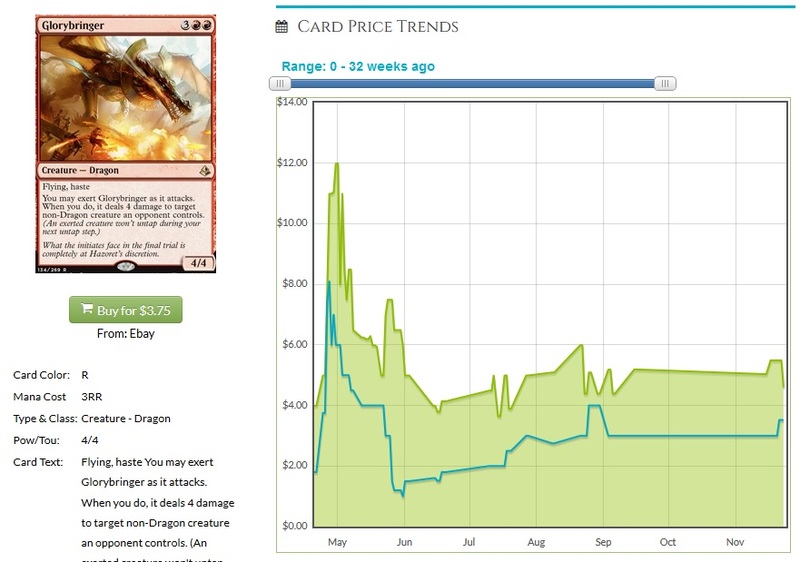 I don’t think it’ll take long for this to get a hefty spike over $20, and while this is a strong contender to be put into a supplemental deck, I have a hard time seeing this in a Masters set or in a set that has foils. Cliff is an avid Cuber and a player at a wide range of kitchen tables. He has yet to Top 8 a GP but eventually they will have a Cube event and he’ll have that locked right up! Find him on Twitter @WordOfCommander or here on MTGPrice every Friday.